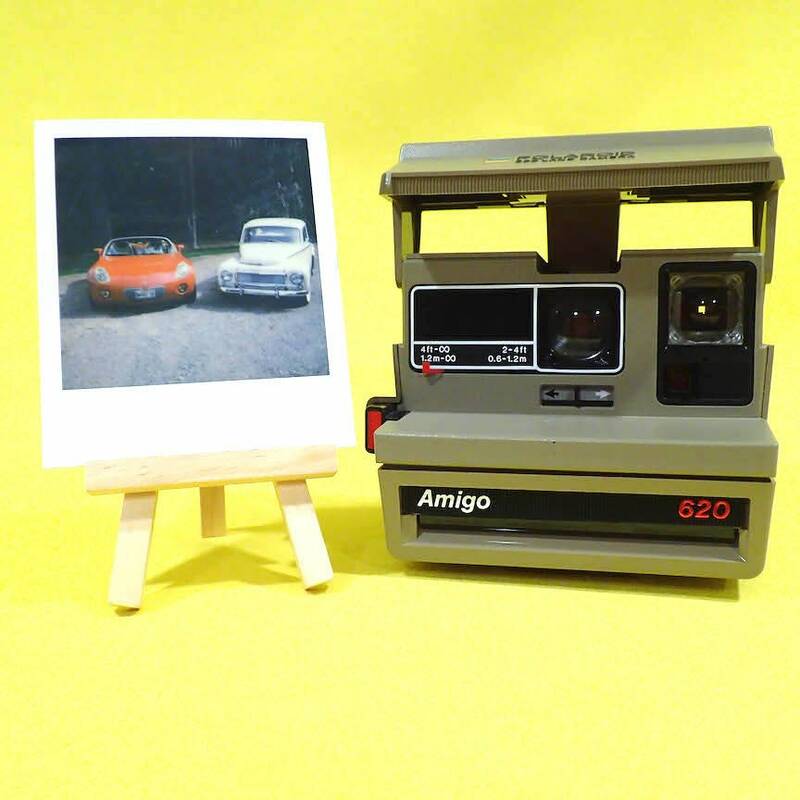 Polaroid Amigo 620, tested and with film option! According to the Land List site, this is of the first generation of the 600 variety of Polaroid integral cameras and came out in 1983. The lens cover flap swings up to allow the attachment of a flash bar, sold separately online (this will not take the usual SX-70 bar, rather the Flash 600, and can still be found online). It has a slide switch that allows close ups so you can take a Polaroid selfie!